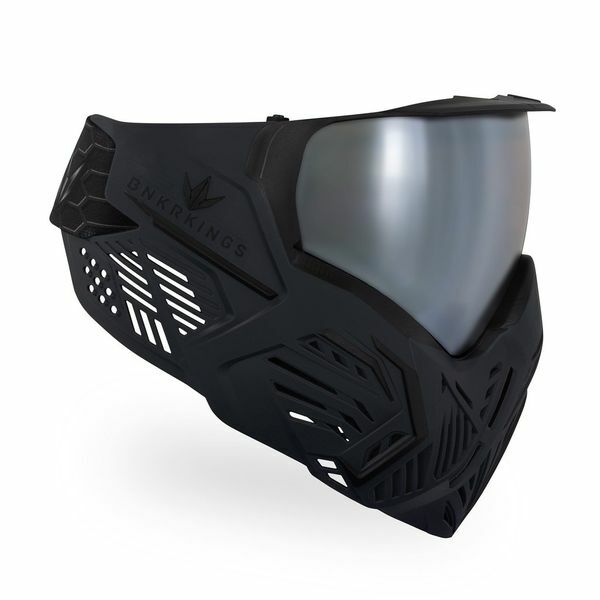 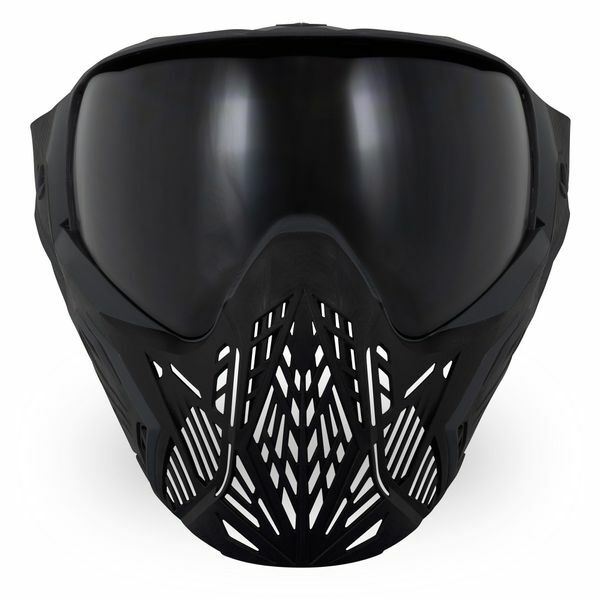 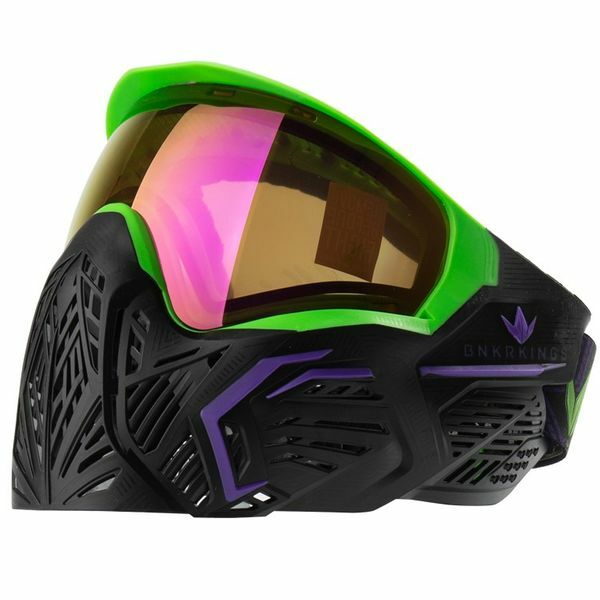 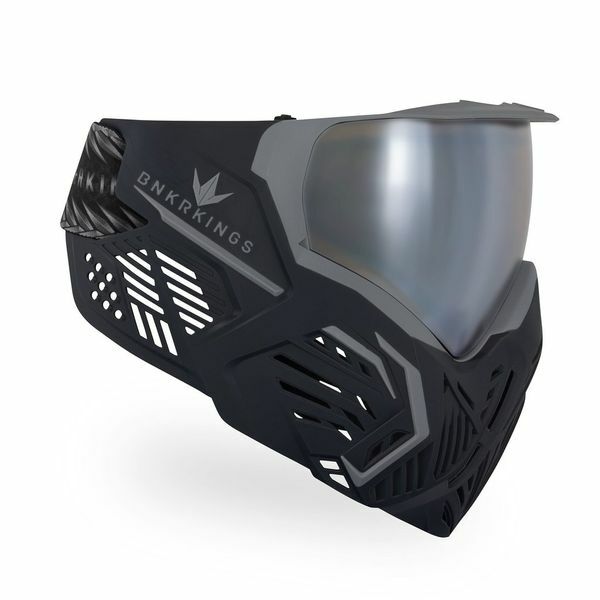 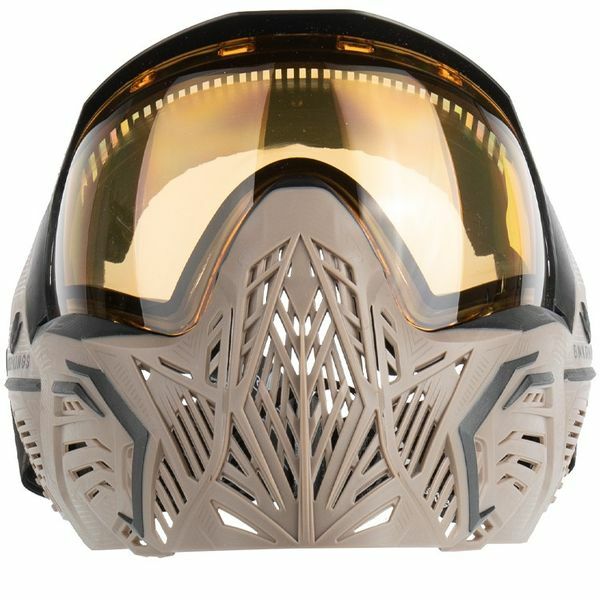 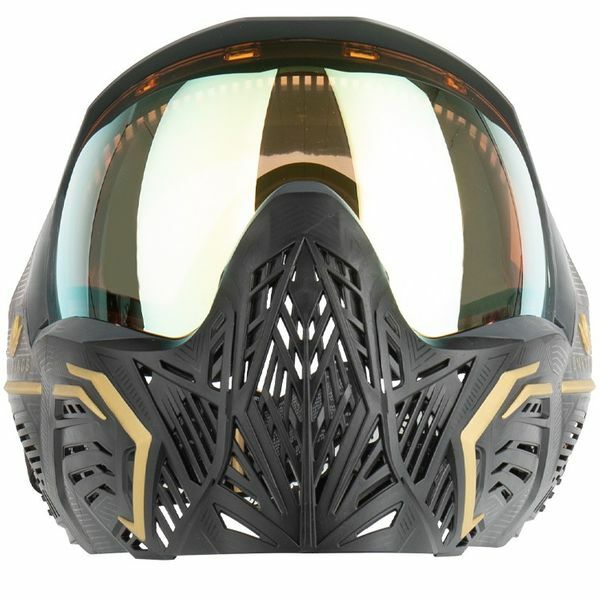 The Bunker Kings CMD (Command) Paintball Mask was developed by professional paintball player Maximus Lundqvist and offers everything Maximus has missed in current paintball masks so far or classified as improvable. Generous ventilation and better communication Thanks to the very generous ventilation, you always get enough fresh air even in hot situations and your commands reach your teammates audibly. 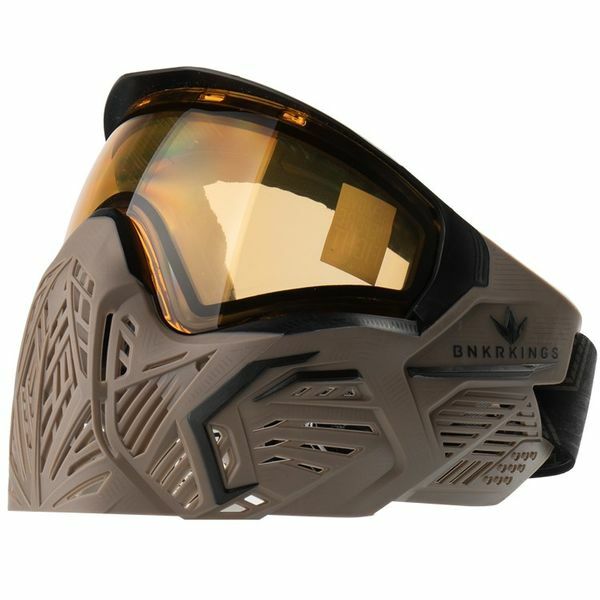 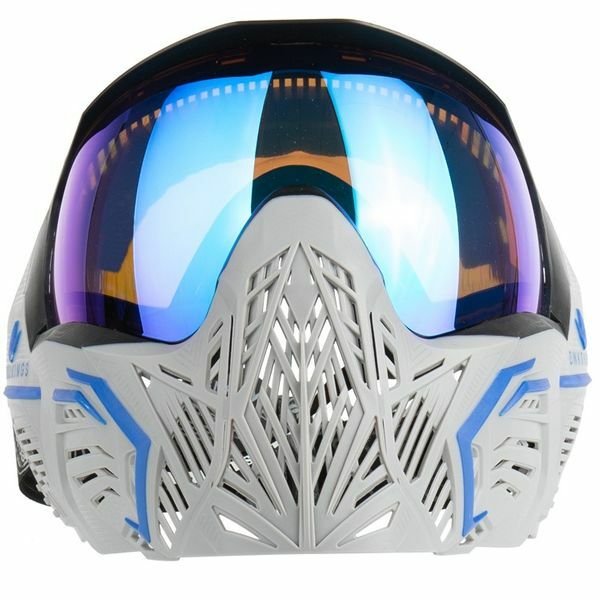 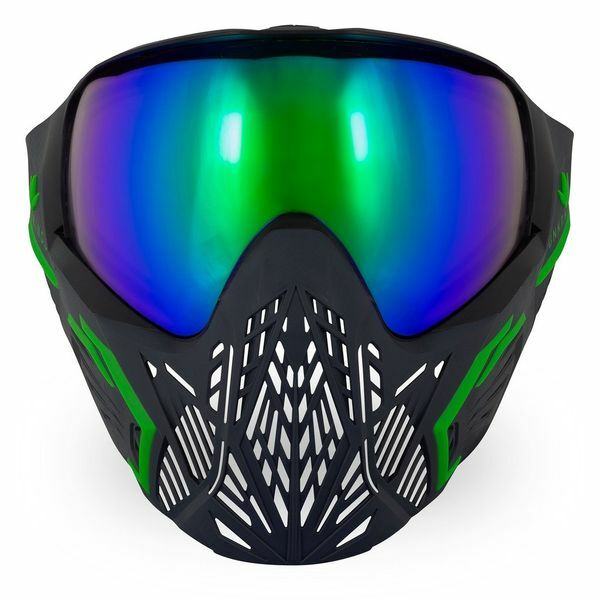 In cooperation with Virtue Paintball, Bunker Kings has improved the popular VIO mask glasses. Thanks to an innovative polycarbonate coating, the mask lenses are very scratch-resistant and fogging is almost completely prevented by the Trifecta Anti-Fog System. 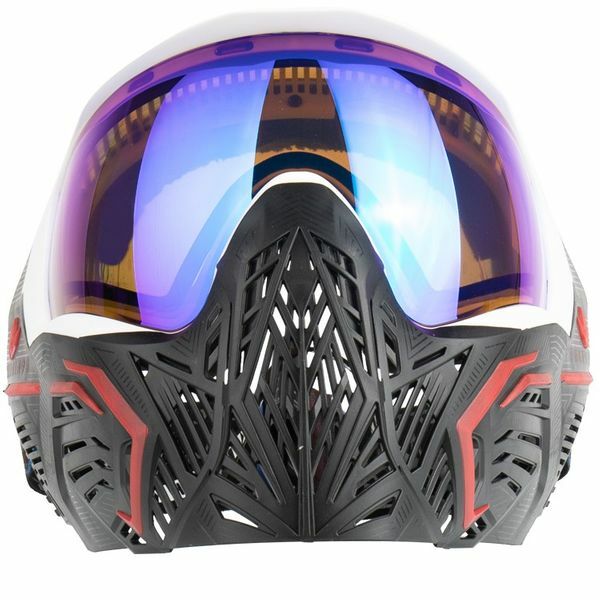 In addition, the lenses offer an optically correct curvature so you can see what's happening from every angle. 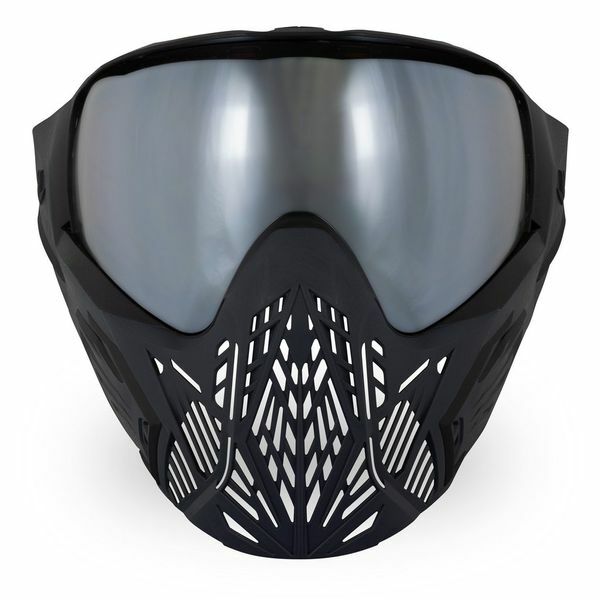 The mask lenses of the CMD mask are compatible with Virtue VIO masks and vice versa. The Command Mask is very comfortable to wear due to the super soft and multi-layered foam. 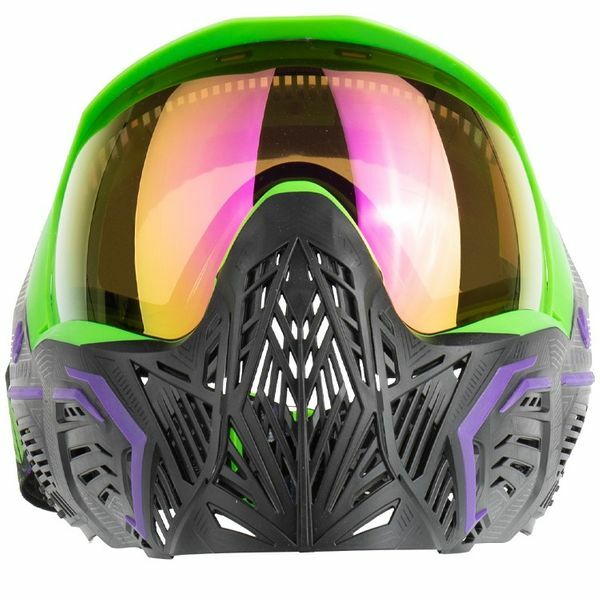 Due to the very simple click system, the foam can be exchanged effortlessly and above all without glue. 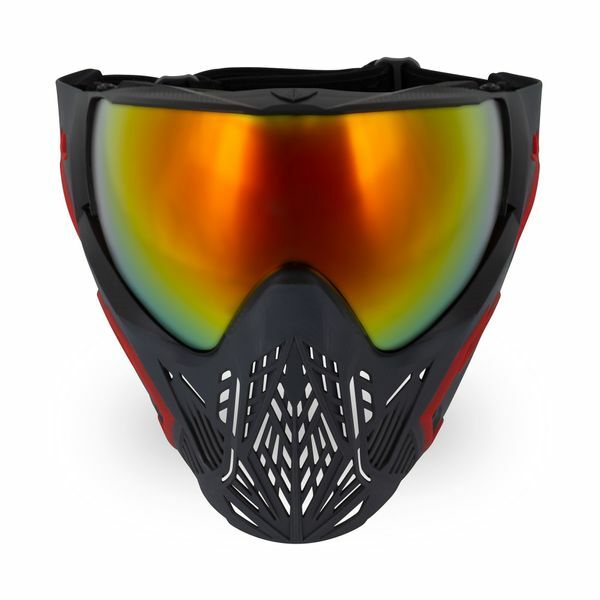 The wearing comfort is further increased thanks to the low weight of the mask. 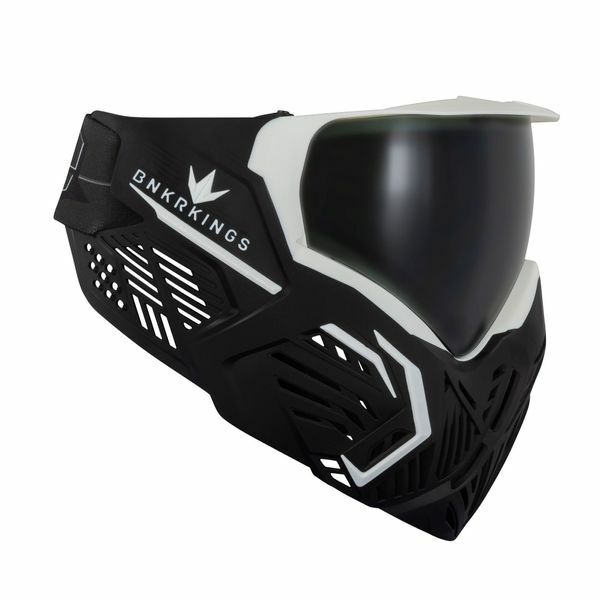 The Bunker Kings Command Mask is equipped with a built-in Micro Visor, which prevents you from being blinded by the sun. 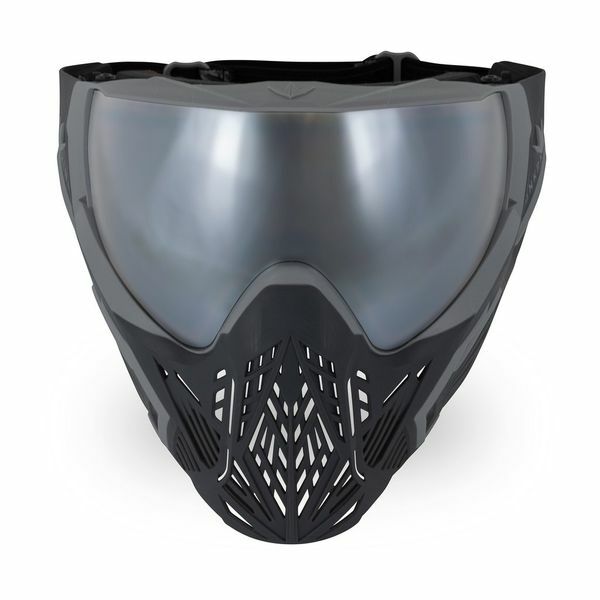 In addition, the visor protects the mask glass from falling damage or scratches, as the mask glass has no contact with the ground due to the protruding Vivor. 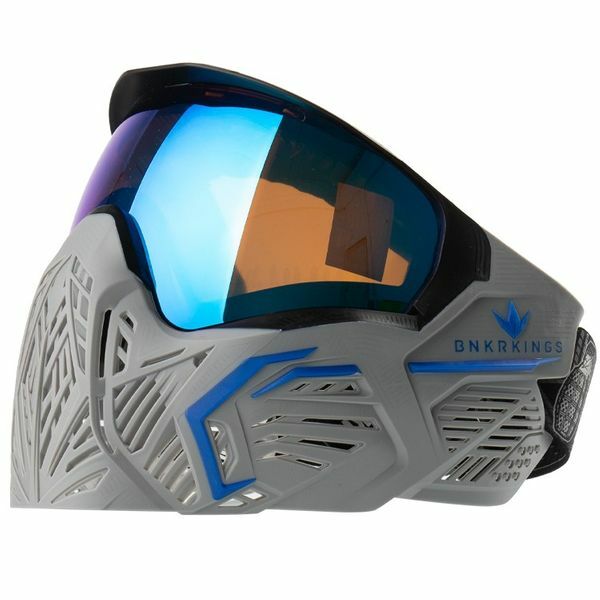 As known for Bunker Kings, there will be many cool color combinations with matching mask ribbons. 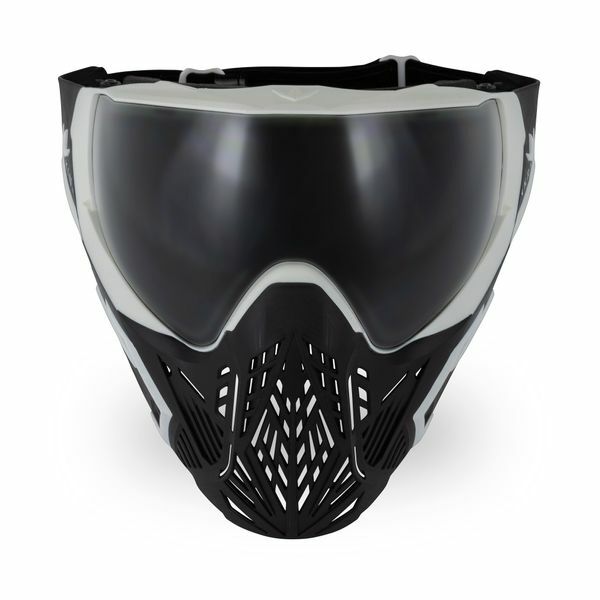 The mask band is extra long to reduce pressure and prevent headaches.